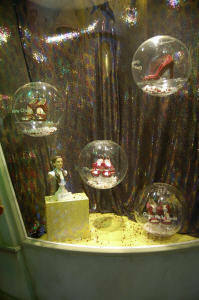 Ruby slippers shoe storm. A fasinating shoe storm display of the ruby slippers. Wallpaper and background images in the Le Magicien d’Oz club tagged: the wizard of oz classic film ruby slippers shoe storm display fan art. What a unique way to exhibit the ruby red slippers!